Personable or professional? First person or third person? How to write about yourself without sounding like a fraud? 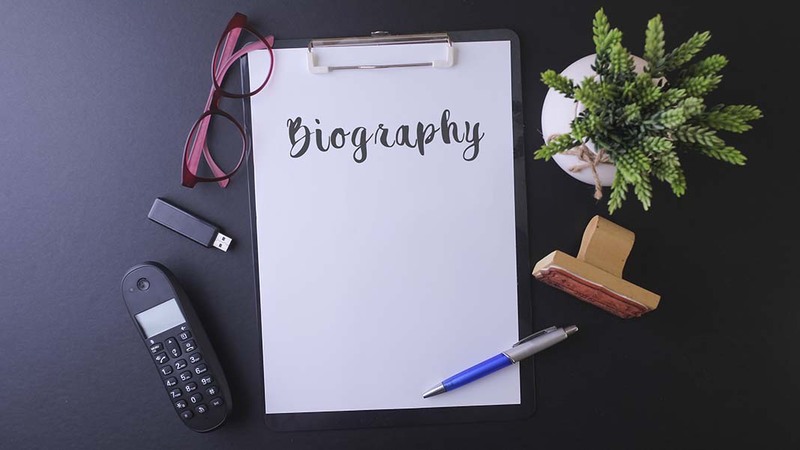 It can be weird writing your own biography but there comes a time in most small business owner’s lives when they need one. You may have an upcoming speaking engagement that requires a biog or a someone who wants to introduce you via email to someone else looking for your services. By writing your biog, you are helping others by giving a short summary of who you are and what you stand for. So, let’s simply delete the weirdness, put our game faces on and JFDI. A biog isn’t a life story or CV. It isn’t a list of jobs followed by your education. It is the highlights of your career and your passion projects teamed with a hint of the personal. A biog is a chance to sing your own praises about prizes, things you’ve written, positions you have held. You may mention an exciting project that received exposure and praise. Or you can talk about what gets you out of bed on a morning (steady), or upcoming projects and hobbies. The third person is the usual way of writing a business biography (‘Katy Pollard is’ rather than ‘I am’). The reason for writing it in the third person is that it makes it easy for others to share information about you. Having said that, the hard and fast rules no longer apply and increasingly entrepreneurs are using the first person. Just choose whatever feels most comfortable to you. Or write two versions and use them as you feel appropriate. Think about who you are trying to attract. DON’T sound corporate if you want to attract independent retailers. DO sound professional if you want to work with Big Brand X’s finance department. It all relates back to who your ideal customers are. Who you want to work with. Think about what you want readers to feel about you when they read it. What are the key messages you want to convey? Do you have a lot of work experience? Are you well educated? Humorous? Innovative? I have two versions of my biog that I use depending on who I am sending it to and even then, sometimes I shorten or tweak it to suit that particular audience. Pig owner, proud Yorkshire lass and founder of Listening Pig: providing quality, no-nonsense PR for people who care about people. I’m a former journalist turned PR pro who specialises in innovative small businesses and health and wellbeing. I believe it’s not just about who or what you know, it’s about the right attitude. I’m a Yorkshire lass and pig owner, so it’s in my nature to be practical and straight with people. You won’t get any ‘sweety, darling’ Absolutely Fabulous waffle from me! Just plain old Yorkshire gumption. My clients have described me as tenacious, focused and deadline-driven. I believe that’s why I not only secure local and trade media coverage, but I also get high profile articles published in nationals such as The Guardian, Huffington Post, Telegraph, Independent and Cosmopolitan and Stylist magazines (examples can be seen on request). As someone who is constantly curious and life-long lover of learning, I have a CIPR Diploma and MA Journalism and have particular expertise in media relations, copywriting and corporate communications. When not writing, you can find me hiking in the Yorkshire countryside with my Beagle, Ivy; contemplating what to conjure up from the garden for the next meal, tending to my menagerie or searching for the perfect Rioja. I’m a former journalist turned PR pro who specialises in health and wellbeing and innovative, heart-centred small businesses. I started my career as a reporter on local newspapers and quickly realised that although I love journalism, I get the greatest personal fulfilment from helping other people so I moved into the world of PR. 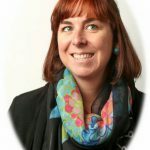 Having spent nearly 15 years working in health and wellbeing and third sector organisations promoting their extraordinary services, and having bagged a CIPR Diploma and MA Journalism, I felt I had the experience I needed to fly solo. So, my company, Listening Pig was born – to provide quality, no-nonsense PR to people who care about people. I still get a kick out of getting clients on BBC Look North, ITV Calendar and Yorkshire Post and getting high profile articles published in nationals such as The Guardian, Huff Post, Telegraph, Independent, Cosmopolitan and Stylist magazines. Writing is my number one passion and I thank my lucky stars that I get to do what I love most every single day and that people are willing to pay me for it! When not writing, you will find me hiking with Ivy the Beagle, Susan the Spaniel and Steve the partner or I’ll be in my garden conjuring up plant-based recipes, or on the sofa crocheting and searching for the perfect Rioja. Can you see how the two versions contain similar information but the second one tells my career story in a light-hearted and a (bit) humorous way, showing more of my personality? Both work for me, but in different contexts. Take a look at other people’s biogs and note what you like about them and why they appeal to you. Then emulate those bits in your own. A standard business biography is four to six paragraphs long, each around 50 words. The paragraphs can cover background, experience, education, achievements, passion projects and a bit about your home life and hobbies if you wish. You may wish to also include some elements of your brand story. Once done, you may choose to tweak it for different uses. Or lengthen or shorten as appropriate. And expect that it will evolve over time.